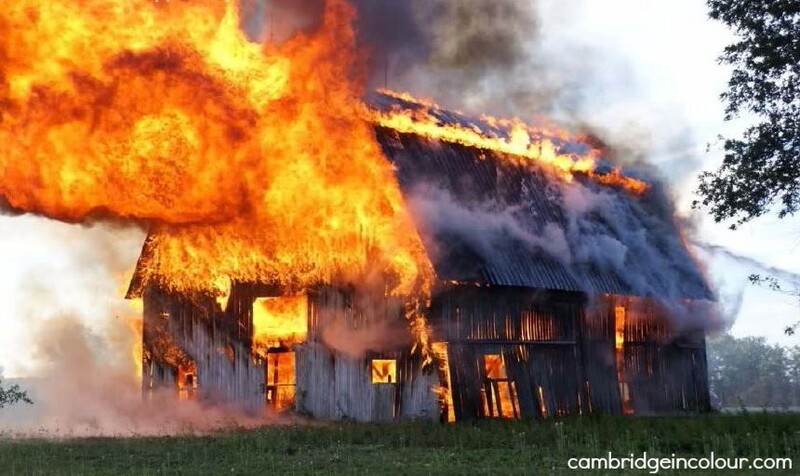 Since January 2015, barn fires have killed more than 150,000 farm animals in Canada. Unfortunately, most people aren’t aware of these fires unless they involve either companion animals or million-dollar race horses. We’re now reaching out to key contacts in provincial and federal government to inform them of the new site and to ask them to disseminate the information to farmers. Response so far has been very positive, with commitments of support from the Manitoba and Ontario agriculture ministries to date. We have also been promoting the site on other farming websites. Please have a look at the site, and if you have comments or suggestions, we’d love to hear from you: info@preventingbarnfires.com. It’s not often that barn fires end on a positive note, but one did recently at a farm near Stratford, Ontario. Thanks to the quick response of volunteer firefighters, 3,000 young pigs were saved from the blaze, though about 300 suffered smoke inhalation. A shout-out to the Perth East Fire Department — way to go! Loblaws, Metro, Sobeys and Wal-Mart are among the Canadian grocery retailers that have committed to purchasing cage-free eggs by the end of 2025. This important announcement from the Retail Council of Canada (RCC) comes following years of advocacy and collaboration on the part of CCFA and other animal-welfare organizations. CCFA is Loblaw shareholder, for example, and has attended meetings and advocated cage-free policies in grocery retail for over a decade. 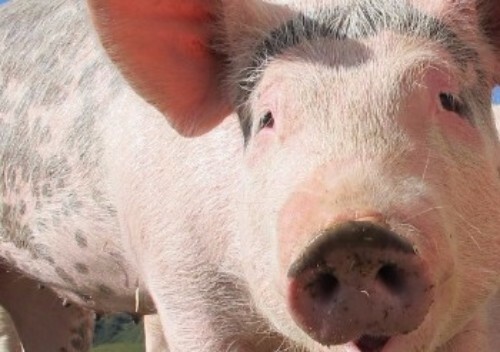 The announcement is another big step in the right direction for farm animals. Read the whole announcement here. To learn more about farmed chickens and how to help them, visit helpthechickens.ca. 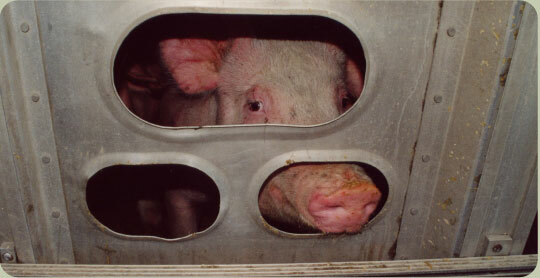 For many people, trucks full of pigs or chickens are the closest they get to farm animals — and many don’t like what they see. Open trucks at highway speeds on bitter winter days. Overcrowded trucks in stop-and-go traffic in blistering summer heat. In a recent CTV story on transport, CCFA was one of several animal-welfare organizations weighing in on the issue — specifically, the need for better, more humane regulations. 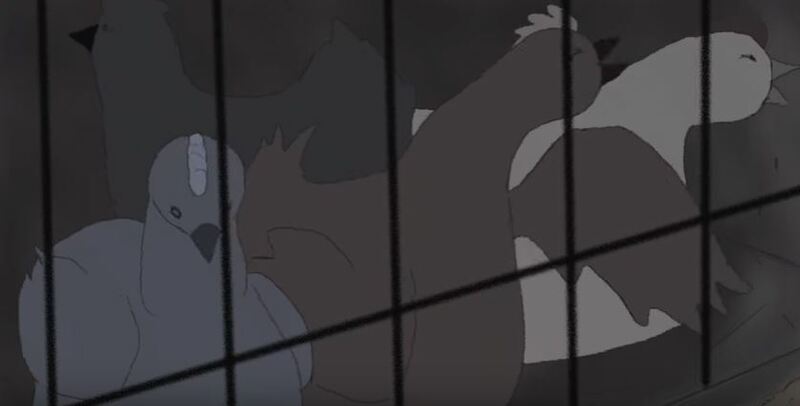 The video effectively captures the misery of caged hens. 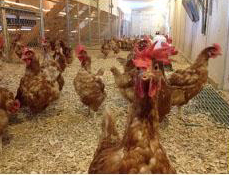 It ends with CCFA’s Help The Chickens website as a way for people to take action. Way to go Val — thank you! Watch Val's video here. 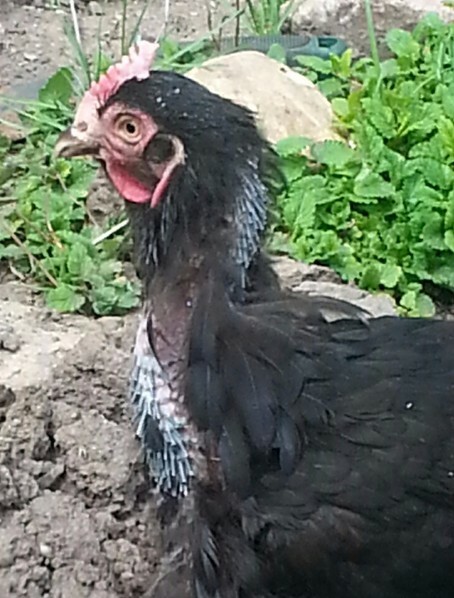 This bea utiful black hen was found wandering through morning rush-hour traffic one day recently in Toronto's east end. Thanks to some quick thinking from local police, animal services, and CCFA director Taunya Ahier, the hen is now safe in her foster home. She was very thin and had a lot of feather loss and abrasions, but after just two weeks in a caring home, she is recovering wonderfully, enjoying treats, and making new human friends. From May 6 - 22, the Toronto Vegetarian Association is holding Veggielicious: "gourmet prix-fixe meals and delicious deals at over 50 locations across the greater Toronto area". To get you in the mood, we're offering up TVA's chunky cucumber gazpacho. Perfect for the warm weather ahead, the recipe has been CCFA-tested, and the results are "really, REALLY good". Enjoy. In a large stock pot, combine all ingredients. Taste and adjust seasoning if necessary. Chill for 1-2 hours before serving.